This unit has been refurbished and calibrated on our waveform monitor, cleaned and adjusted. The front level meter bulb has been upgraded to a bright LED light. The Vidicraft Proc Amp is a very high quality component for improving the quality of video signals. You'll be amazed when you see how well this improves the colors in your video transfer! Allows you to fully adjust Luminance gain (brightness), boost color saturation and adjust hue (tint). Perfect for enhancing family VHS tapes when you transfer them to DVD! Vidicraft was a company that made high quality video equipment, they later went on to design & market the famous Studio 1 and SignVideo process amps. 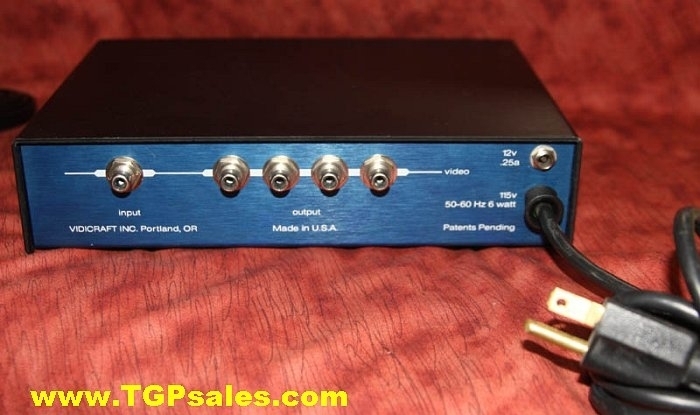 This video processor passes a very clean, low noise video signal and usually can provide a substantial boost in visual quality to your analog video. An excellent tool. Processes composite video signals (RCA connectors). Switch mode: OFF; Color; Bypass and Mono Note: The MONO mode suppresses the color burst so that downstream TV's and VCR's will switch to monochrome mode, it has no other effect on the video. Some video signals, especially VCR outputs, have especially wide color burst and the outer edge of the burst may not be suppressed, causing some monitors to remain in the color mode. In this case turn the color saturation control fully counterclockwise. 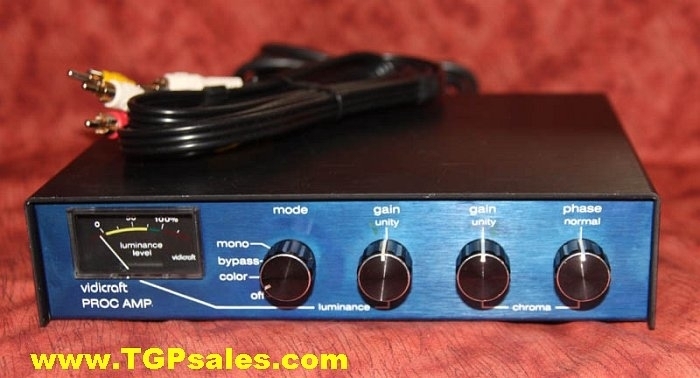 Condition: Used, this Vidicraft Proc Amp is in very good operating condition. Fully tested using live video sources. 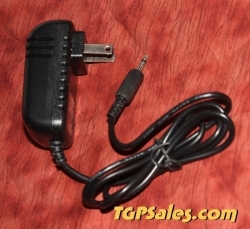 We guarantee this unit to be fully functional and in good working order. The cover has been nicely repainted. A nice, clean unit. 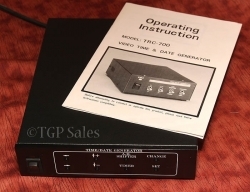 Includes: one 3 conductor RCA to RCA cable plus reprint of the instruction manual.